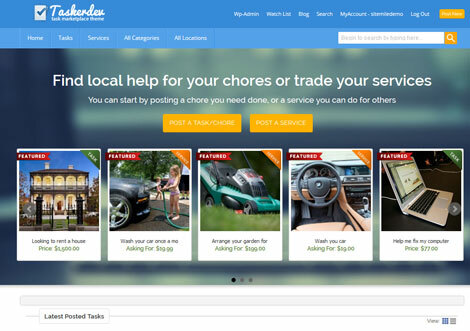 TaskerDev: this WordPress theme lets you create a site to allow your visitors to buy or sell services. It is responsive and offers an escrow feature, private messaging, a feedback system, and support for multiple payment gateways. Taskerr: lets you connect people who need jobs done with those looking to do them. It has a modern design and provides you with plenty of opportunities to monetize your site. It is powered by the Foundation framework. HireBee: a clean WordPress theme for job sites. It supports flexible pricing plans. 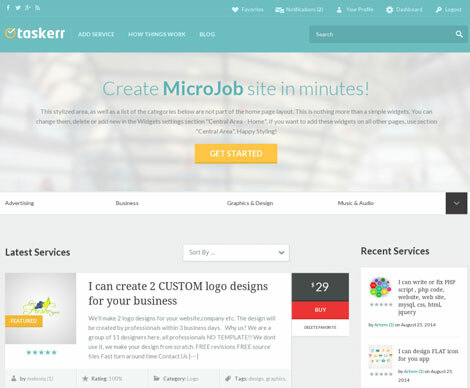 It provides your users with a workspace to communicate with their clients or freelancers. The theme is escrow ready and has credit plans. 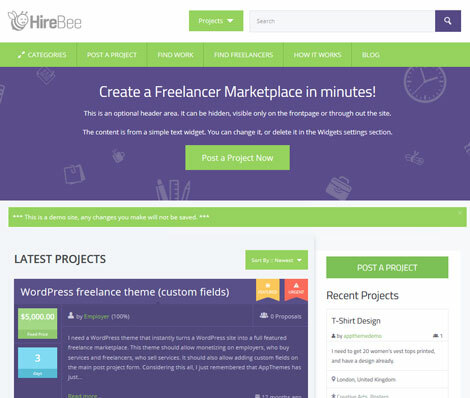 FreelanceEngine: a freelance marketplace theme with a responsive design. 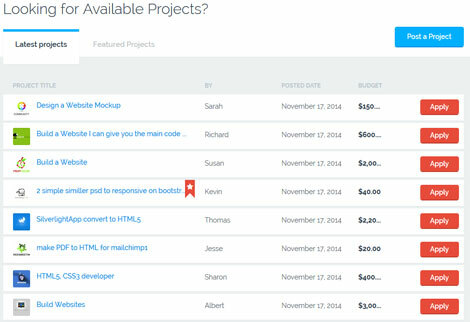 You can charge for regular and featured projects. The theme is escrow ready. 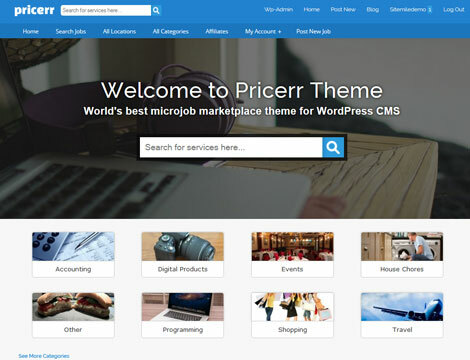 Pricerr: lets your visitors buy and sell tasks on your website. It offers Twitter & Facebook integration. Bitcoin is also supported. Which one of these themes are you impressed with the most?